The Intertidal Music Festival is made possible through the generous support of sponsors, all of which are vital contributors to the economy and vitality of British Columbia's north coast communities. The Port of Prince Rupert is an economic engine for the communities along BC's Northern Trade Corridor. It is a hub for transpacific trade and has developed a reputation as one of the world's most efficient, fastest-growing and sustainable ports. CFNR Network broadcasts to over 80 communities in BC. The programming reflects and is broadcast to over 70 First Nations communities in northern and central British Columbia and has an audience of over 150,000 listeners. Pembina Pipeline Corporation is a reliable energy transportation and midstream service provider that has been serving North America's energy industry for over 60 years. The District encompasses two provincial parks, an ecological reserve and a major historical attraction North Pacific Cannery. This area is also known for its west coast native culture a significant part of history. Outdoor recreation opportunities are abundant, and include fresh-water and salt-water sport fishing, hunting, hiking, camping, and boating. Because of its time-honoured presence, west coast native culture is a prominent feature of the area. AltaGas, a Canadian corporation, is a North American diversified energy infrastructure business with a focus on owning and operating assets to provide clean and affordable energy to its customers. AltaGas' business strategy is underpinned by the growing demand for clean energy with natural gas as the key fuel source. Prince Rupert Northern View has been a mainstay of local news and media since 2006. A subsidiary of Black Press Media, the Northern View covers events, sports, breaking news, and provides a portal for community information. Providing local and long haul cartage throughout the BC Region and across Canada. 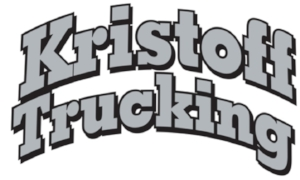 Kristoff Trucking is a reliable source for all your trucking needs in northwest British Columbia. Bronze Sponsor ($250): Broadwater Industries. Broadwater is a multi-faceted fabrication company serving manufacturing and construction fields throughout Northwestern British Columbia. The Intertidal Music Festival is an amazing event with significant community anticipation and support! Take a look at our sponsorship package to see if partnership could be right for your business!